On February 20 in India, Vivo will launch the V15 Pro, and this is going to be a unique phone from the company featuring the pop-up selfie cameras and triple cameras on the rear. After the Vivo NEX, this is the second phone to launch from the company in India with a pop-up selfie camera. Now, the first hands-on image of the Vivo V15 Pro has leaked that reveals the gradient back panel and that triple camera setup on the back. So, the gradient back panel is pretty different from other phones that also feature a gradient design. There is a combination of red and black with a checkered design on the bottom part. Now, it is not yet confirmed if there is real glass on the back or it is plastic with a glossy finish. Coming to that camera setup, it is placed on the top left and houses the three cameras and the LED flash. The selfie-camera also pops up from the same position on the top, so that’s interesting. 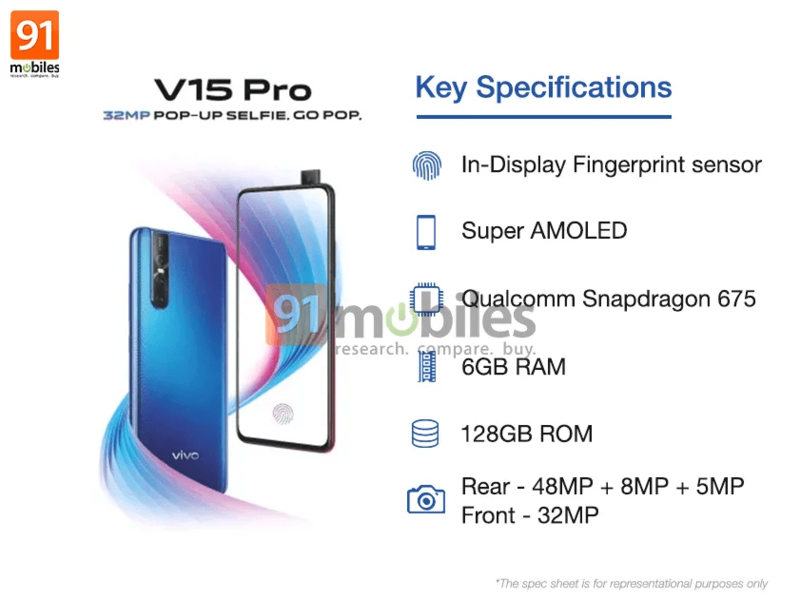 The key specifications of the Vivo V15 Pro have already leaked that include a bezel-less Super AMOLED display on the front, Qualcomm Snapdragon 675 processor, 6GB RAM, 128GB ROM, a triple camera setup on the back that includes 48MP + 8MP + 5MP cameras and a single 32MP front camera. Moreover, there is an in-display fingerprint scanner as well. Looking at the overall design and the specs, we don’t think Vivo will launch it under Rs 20,000 in India. Expect the price to be somewhere around Rs 25,000.